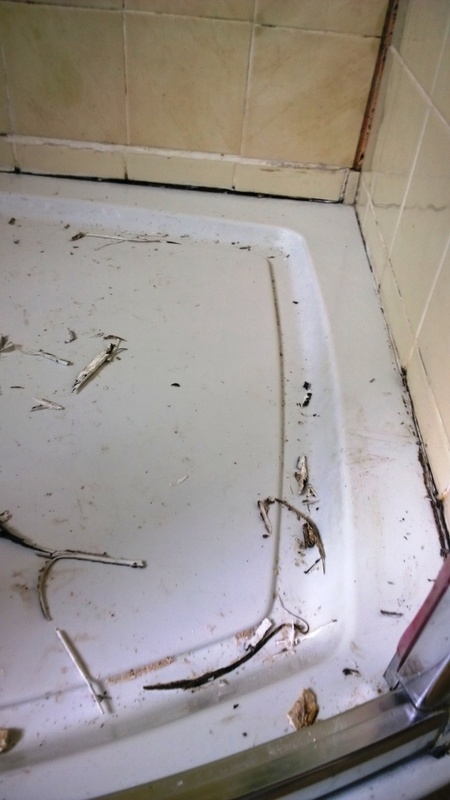 This enquiry came from a theatre buff at a house in Sonning Eye near Reading who regularly hosted cast members playing at the local Mill Theatre. 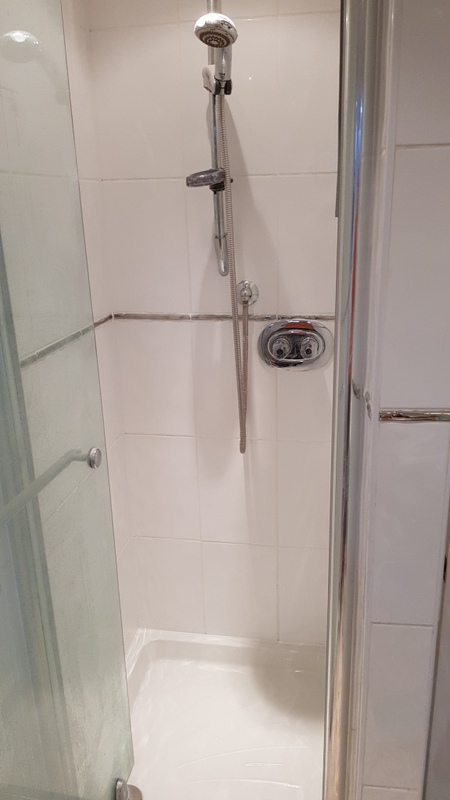 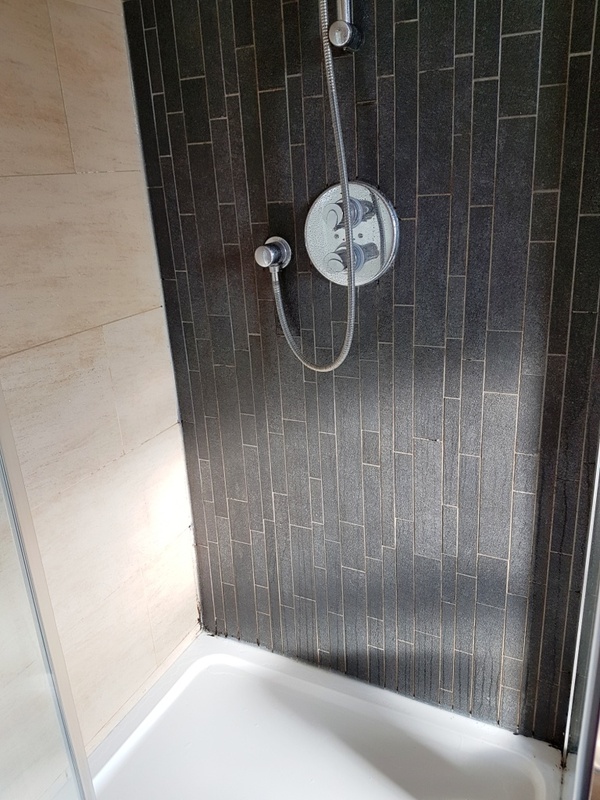 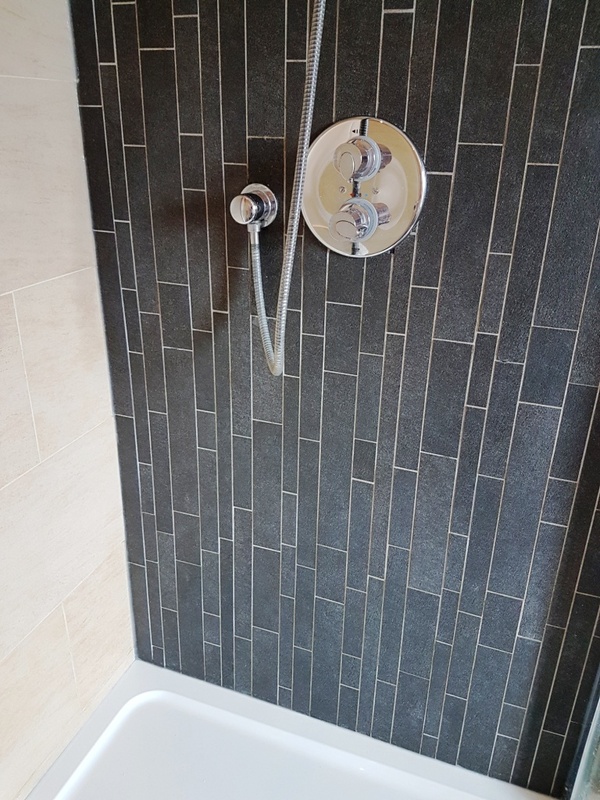 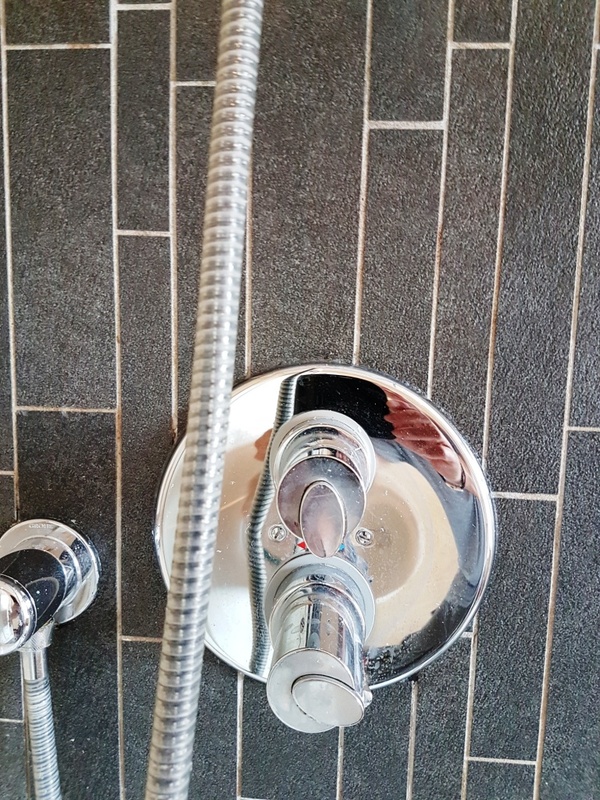 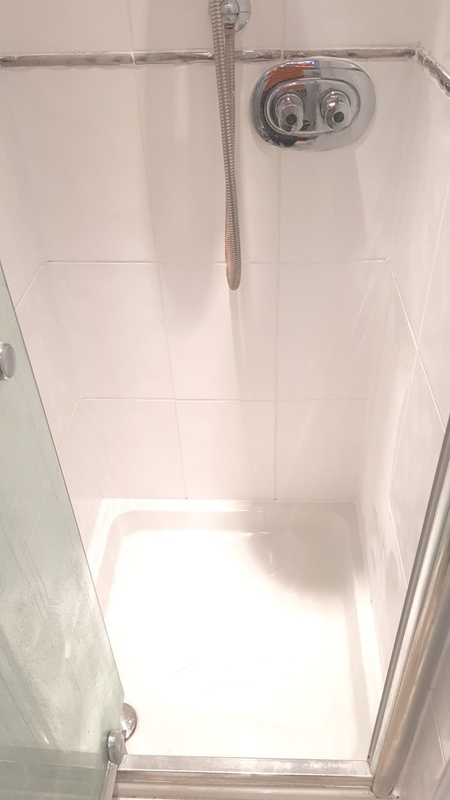 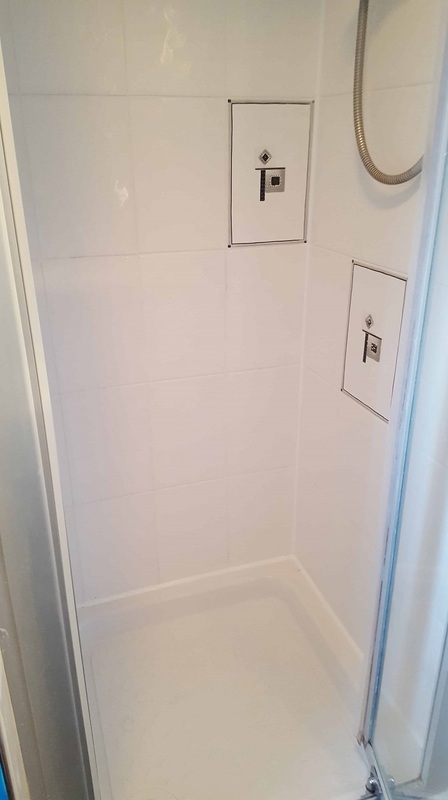 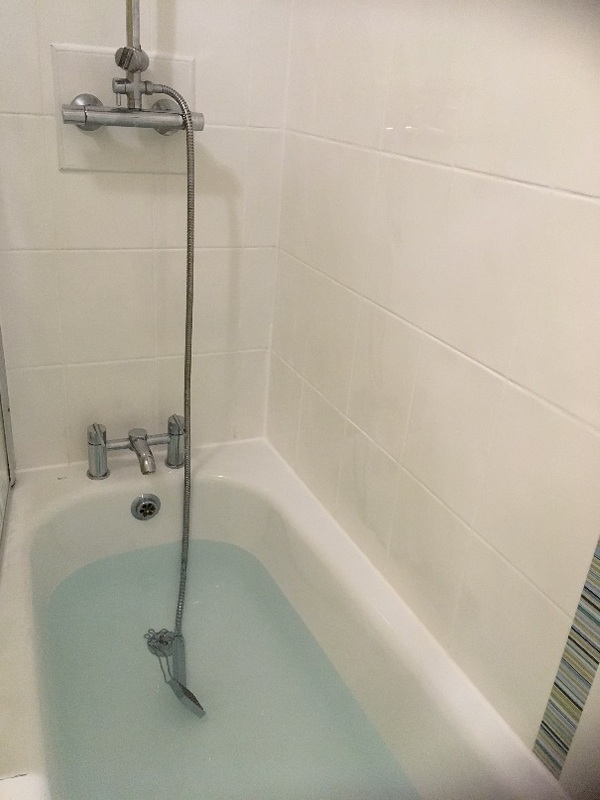 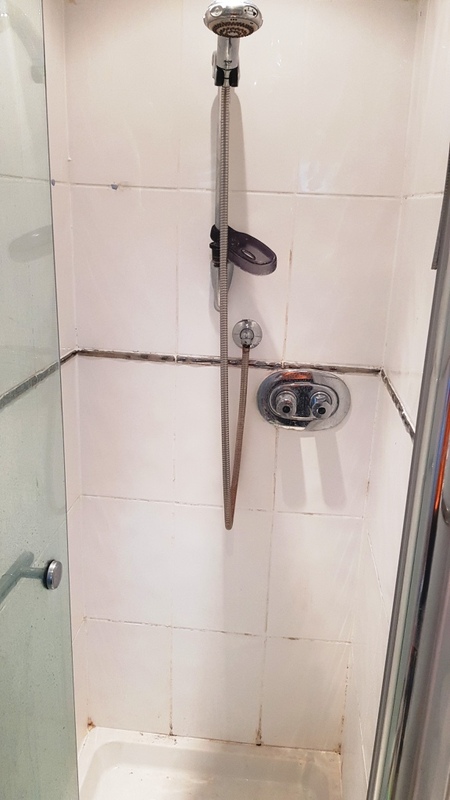 Five years prior he had a Limestone tiled wet room installed and unfortunately the floor tiles were laid unevenly and the fall on the tiles didn’t allow the water to drain off efficiently. 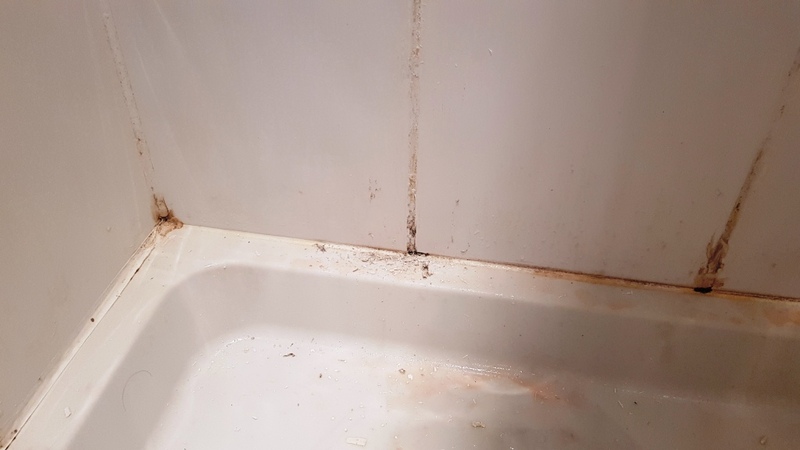 The water would therefore tend to pool in the centre and overtime heavy limescale built-up and mould had also started to appear. 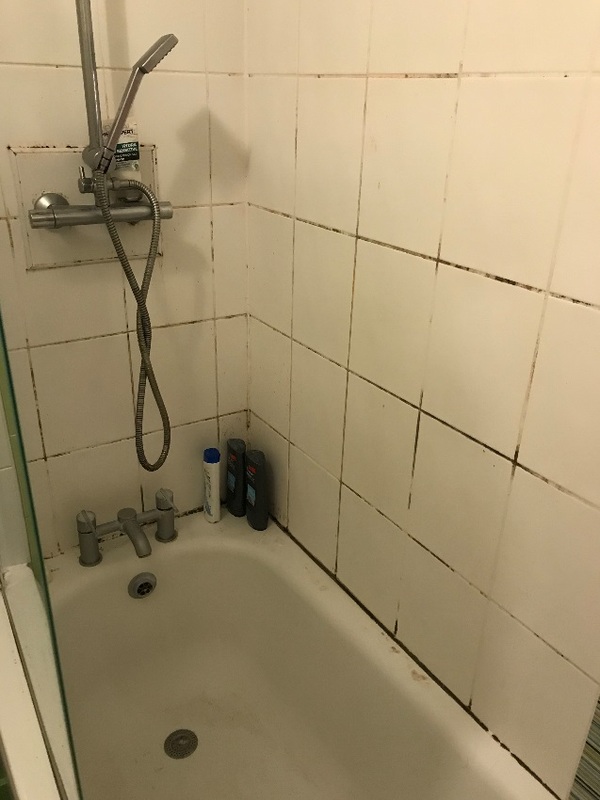 Cast members staying at his house although grateful of the hospitality had often mention the state of the unsightly shower and so we were asked to pop round and see what could be done to renovate it and restore its appearance. 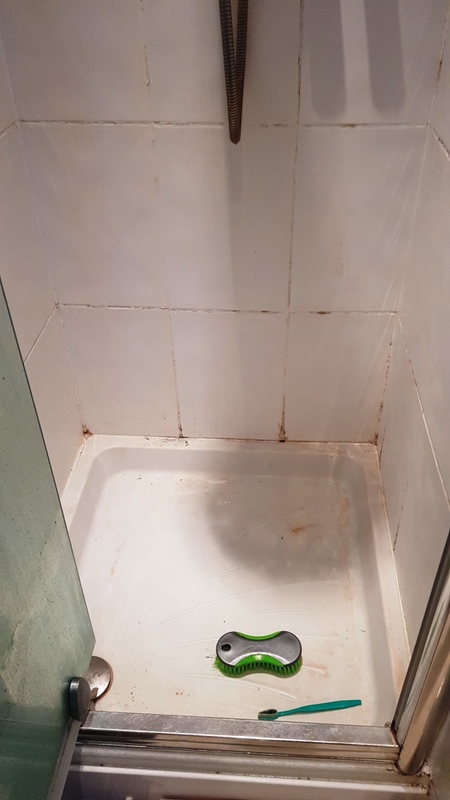 The first task was to remove the mould that had ingrained the Limestone, to do this I used Tile Doctor Duo Clean and scrubbed it into the tile with assistance from a steamer. 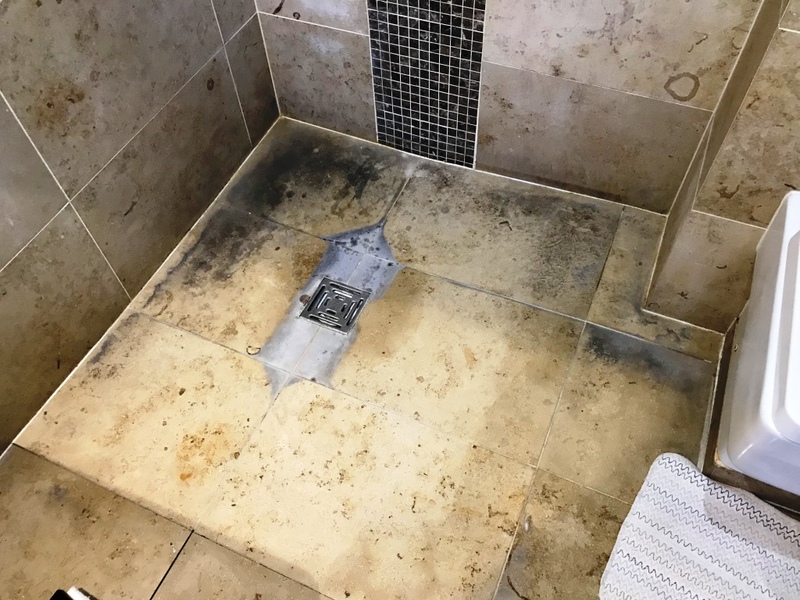 I repeated this action three times, after each time I could see a visible improvement in the affected area and once it had lightened to a very faint grey, I knew that the next cleaning process to burnish the stone would see it disappear completely so left it at that. 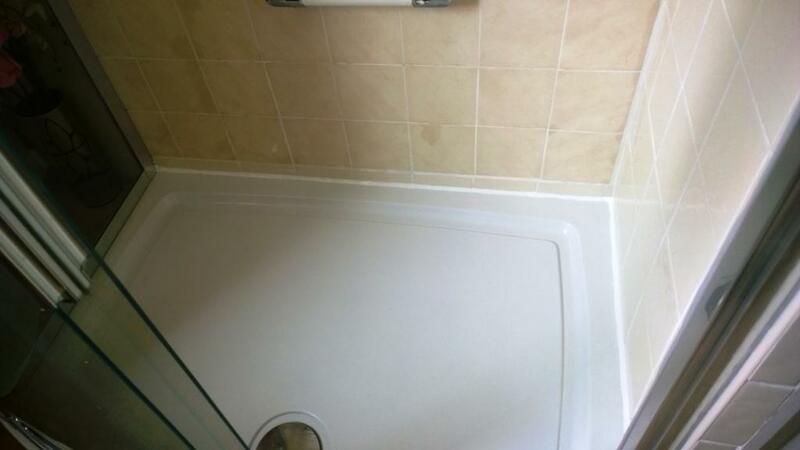 Next job was to remove the limescale build-up and re polish the Limestone tiles. 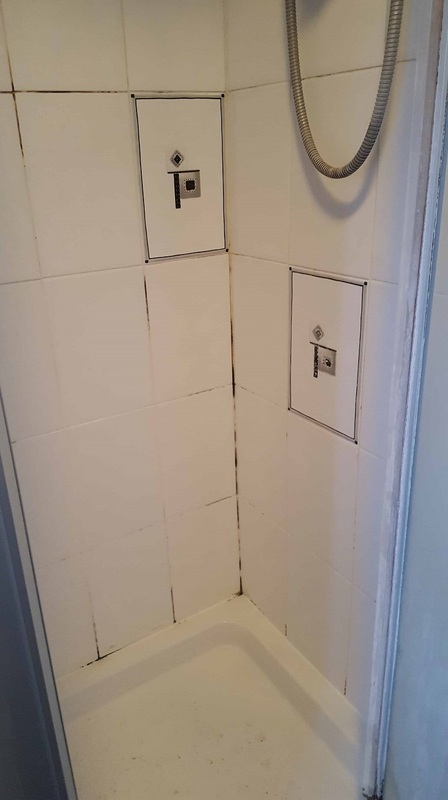 I found the best way to do this was with a small hand-held machine, this allowed me to get into all the edges and groves that would have been impossible with a larger machine which would have struggled to cope with the uneven tiles. 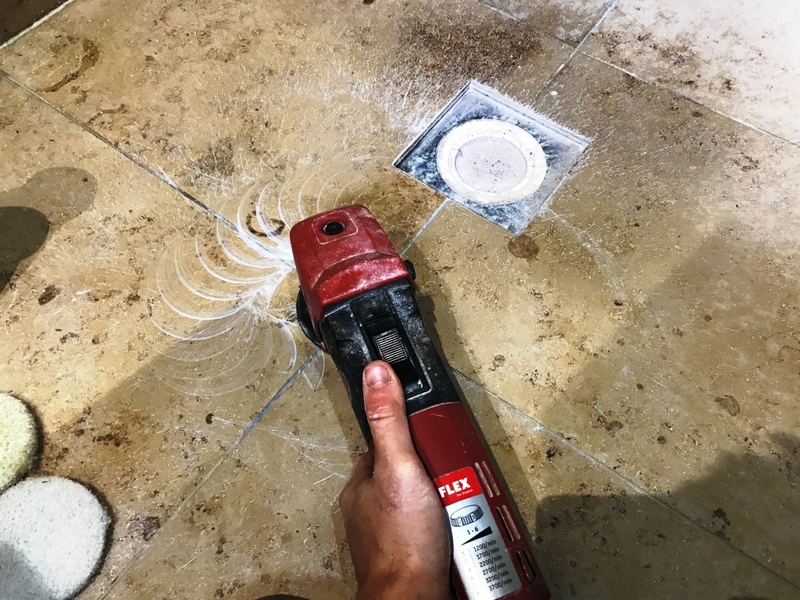 I started with a 400-grit burnishing pad, but this struggled to cut into the years limescale build-up, so I switched this for 100-grit soft milling pad which did the trick. 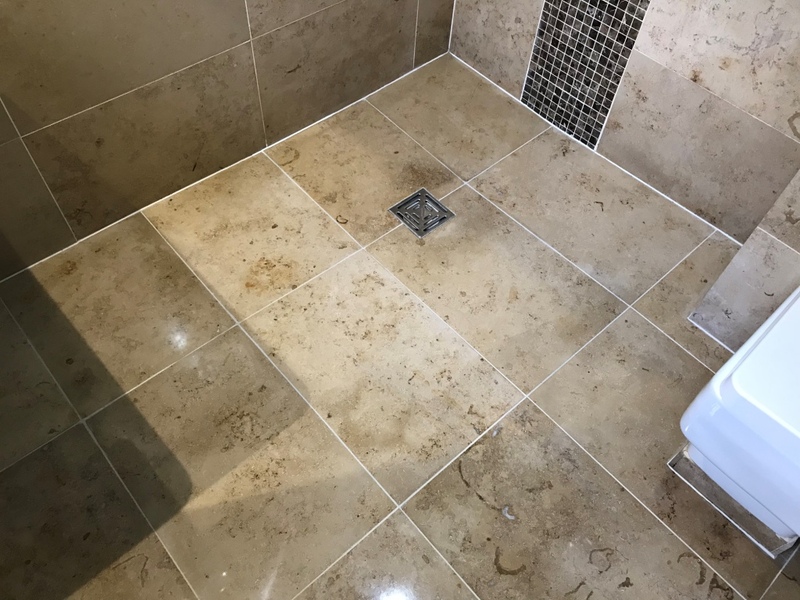 Once all the limescale had been removed it was time to rebuild the polish on the surface of the stone, so the process was repeated working through finer and finer burnishing pads 200, 400, 800,1500 and finally 3000-grit until the appearance of the Limestone was restored. 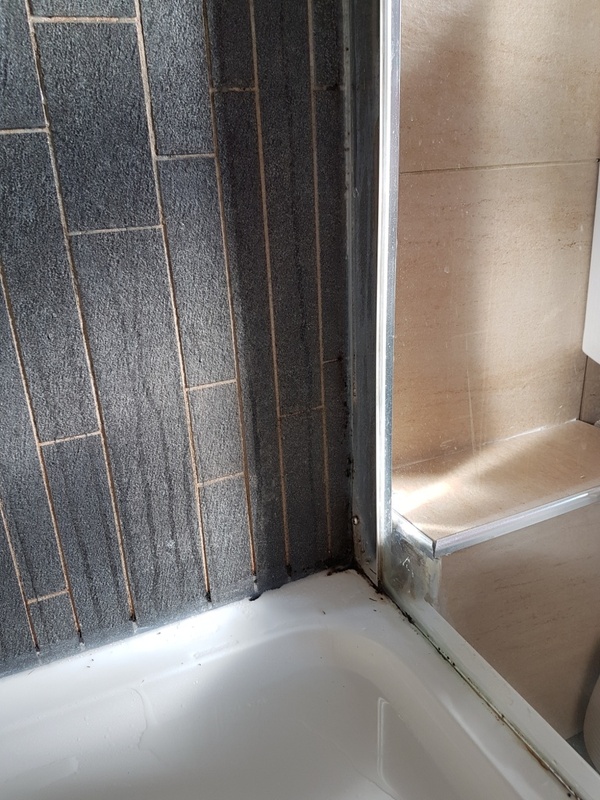 This is quite a time-consuming process as the pad are quite small, additionally each pad is applied with water to provide lubrication which turns into a slurry that has to be rinsed off before applying the next pad. 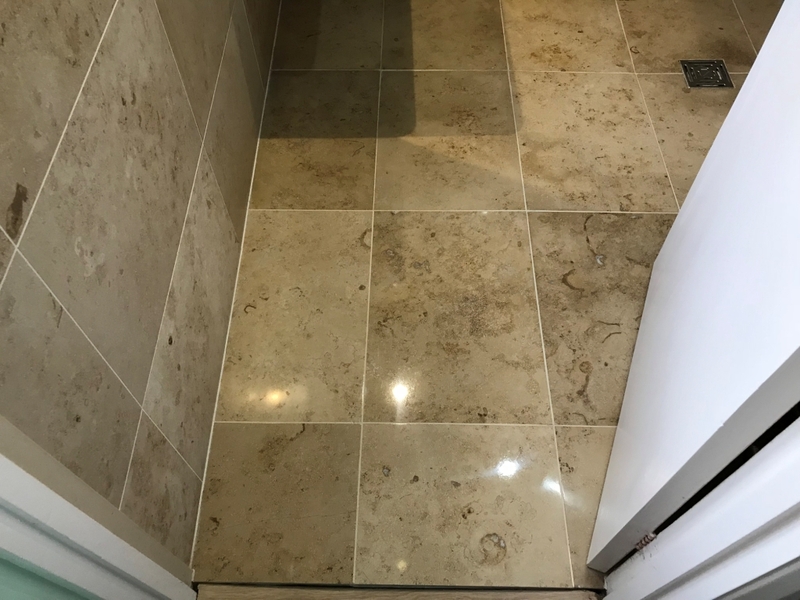 The result however is worth at as it really restores the polished appearance of the Limestone. 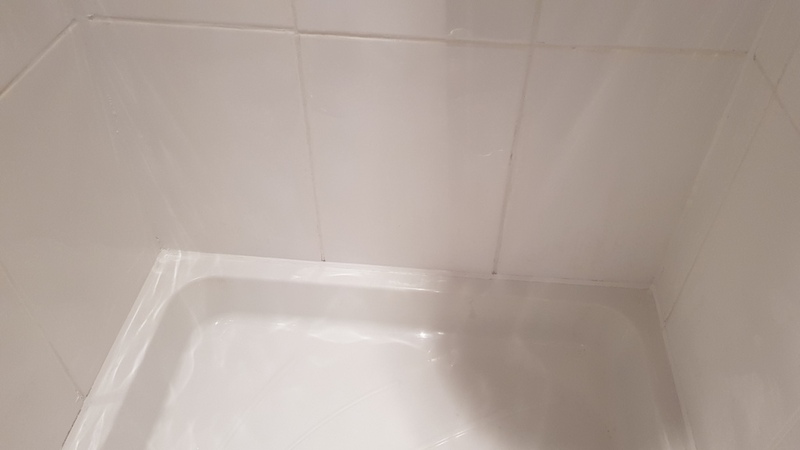 The last part of the cleaning process was to give the grout a quick clean I did this by scrubbing in Tile Doctor Pro-Clean along the grout lines with a grout brush, again rinsing off the slurry afterwards. 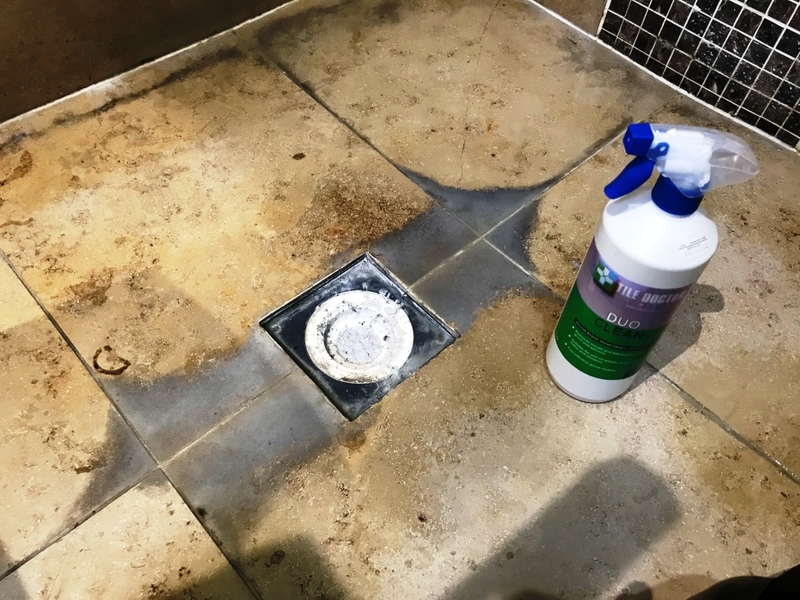 Pro-Clean is a strong alkaline tile and grout cleaner that’s safe to use on natural stone. 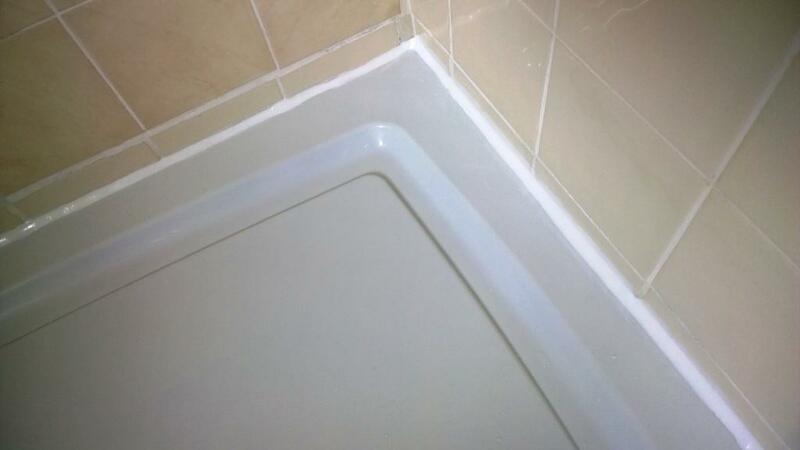 The final task was to seal the Limestone and replace the worn mastic/silicon sealant around the edges. 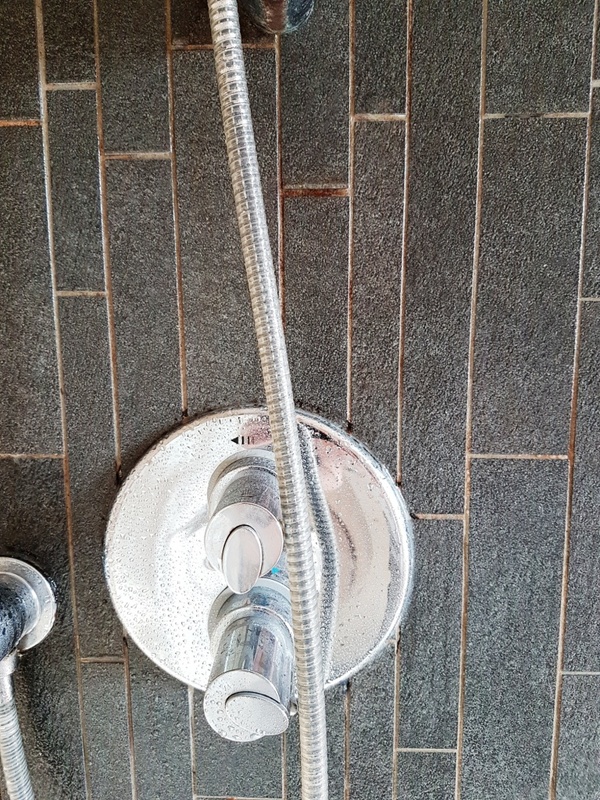 Usually I would leave the stone to dry out overnight but as it was a small area, I was able to thoroughly dry it out using a heat gun. 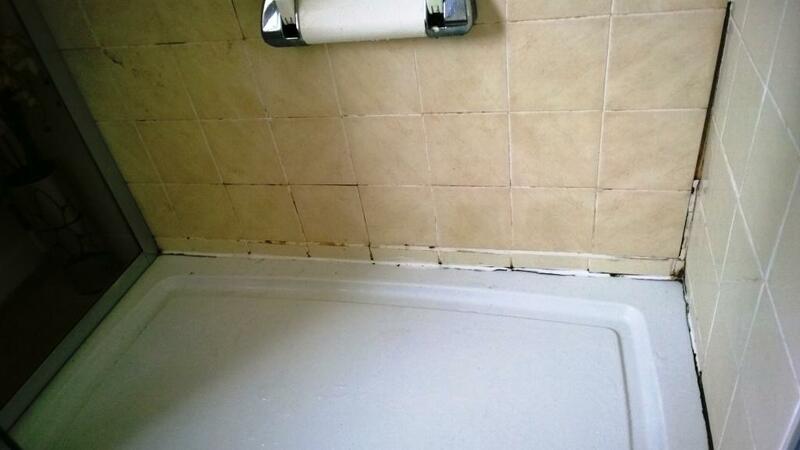 Once dry two good coats of Tile Doctor Ultra-Seal were applied to provide on-going protection. 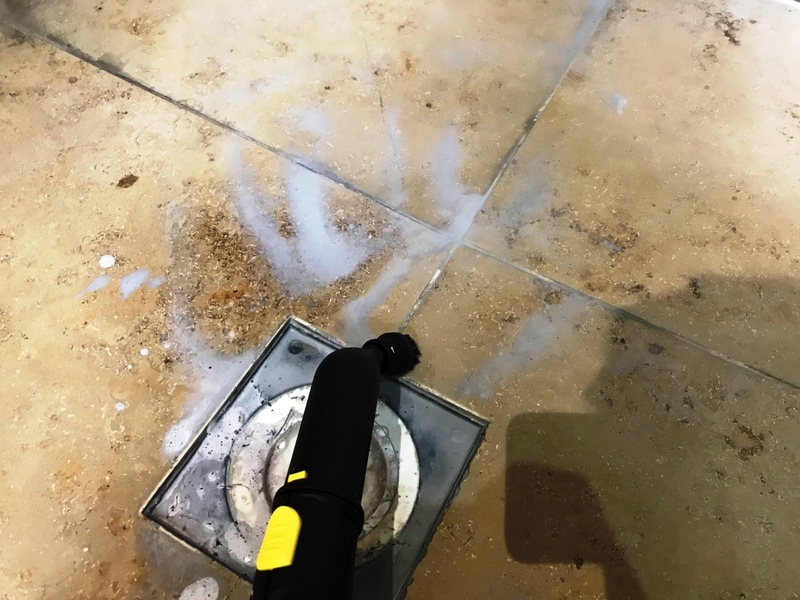 Ultra-Seal is an impregnating sealer that works by occupying the small pores in the stone thereby preventing dirt from becoming ingrained, also it doesn’t change the colour of the stone in any way leaving a very natural appearance. 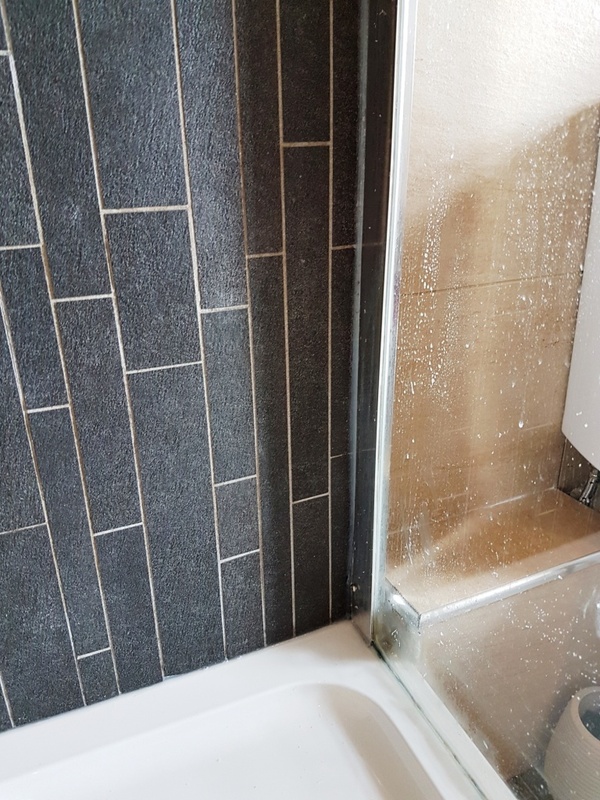 Last step before finishing was to apply a fresh application of white mastic sealant along the edges of the tiling to ensure a good seal and no leaks. 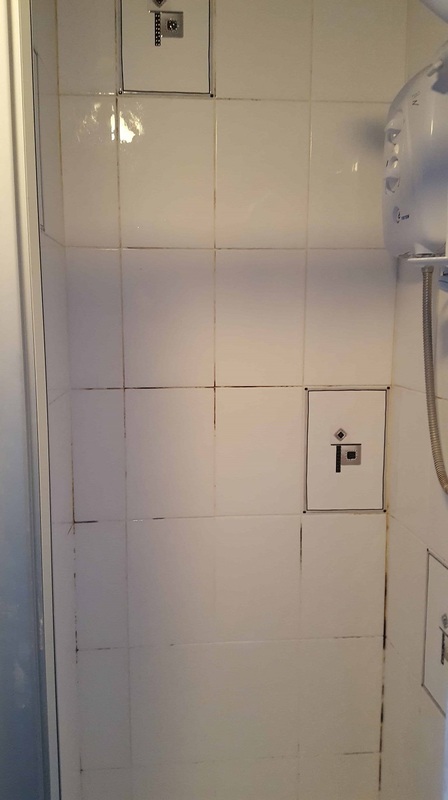 My customer was over the moon with the result as initially he thought he might have to have it replaced. 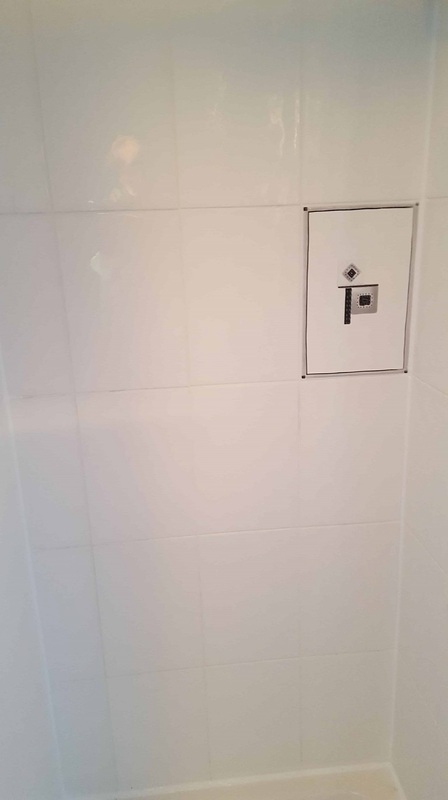 He was so pleased in fact that he left the following feedback on the Tile Doctor feedback system.